Asko: International corporation with a full line of high-performance washers, dryers and dishwashers. Avanti: Manufacturers of compact to small refrigerators; upright and chest freezers and other mini kitchen appliances. Bosch Refrigerators: World wide Manufacture featuring appliances for kitchens and washing rooms. Breezair: The world's quietest and most efficient range of whole of home ducted evaporative air conditioning. Australia's evaporative air conditioning solution. Broan: North America's largest producer of residential ventilation products such as range hoods, ventilation fans and indoor air quality products. DCS: DCS continue to redefine the standard for high- end, commercial quality cooking equipment in kitchens and decks around the world. In North America DCS is sold through a network of over 2,500 storefronts and supported by over 1,500 service organizations. Dacor: World wide high-end manufacture featuring appliances for kitchens and washing rooms. Faber: Located in Fabriano, Italy and has been producing high quality rangehoods for over 50 years, since 1955. Fisher Paykel: Fisher & Paykel Appliances designs, manufactures and markets a range of innovative household appliances developed with a commitment to technology, design, user friendliness and environmental awareness. GE Appliances: GE is one of the largest manufacturers of major appliances in the world. LG Appliances: LG is one of the largest manufacturers of major appliances in the world. Maytag Appliances: Maytag products are built strong to last long. 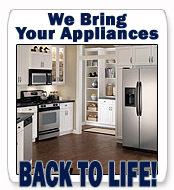 Explore our kitchen, laundry and whole home appliance collections. Miele Appliances: Miele appliances are engineered to provide superior results coupled with ease of use and flexibility. Samsung Refrigerators: Major manufacturer of kitchen appliances and electronics. Speed Queen Washers & Dryers: Speed Queen washers and dryers in your home you get the same commercial reliability and durability that Laundromats have enjoyed for years. Sub Zero: Sub-Zero refrigerators, freezers and wine storage units are the definitive kitchen components. Made by hand. Tested to the nth degree. With innovative dual refrigeration. Thermador: Cooking appliances ranging from practical to innovative. U-Line: U-Line has been synonymous with innovation, quality and selection of premium built-in undercounter appliances. Viking Ranges: Manufactures and markets professional and commercial-type kitchen appliances for the home. Vinothèque: Vinothèque has been synonymous with wine refrigeration & storage cabinets for over twenty years. Whirpool: Major cooking and washing alliances for kitchen and homes. Wolf Appliances: Built to the same exacting standards, Wolf cooking instruments help give the fullest expression to your love of good food and the pleasure of preparing it. Wolf fuels your passion for cooking.